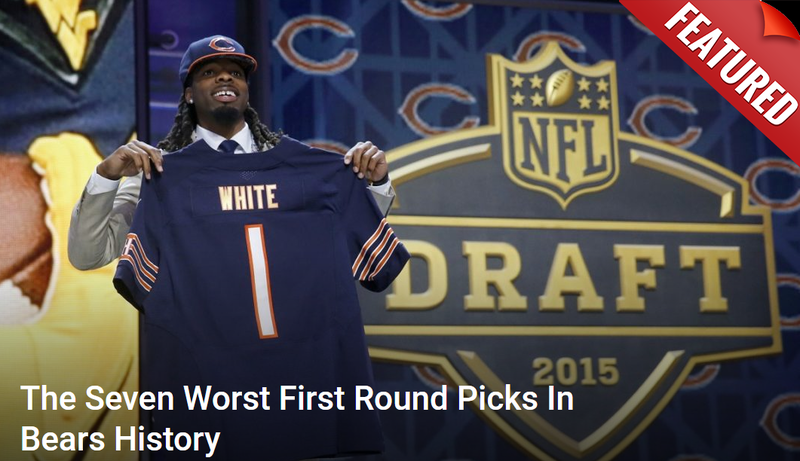 Welcome to the tenth and final installment of “The Best Chicago Bears Of All Time By Jersey Number”. After 89 players and one mascot, we’ve come to the final ten players on this interesting list as we look at the 90s. I must say that this has been a fun experiment. This isn’t the sort of thing that we’ll be doing all the time, but it was nice to do something a little different. It was also nice to go back and look at some of the great players in Chicago Bears history. I’m not going to sit here and pretend that I knew every single stat or every single fact that ended up on these pages throughout the process, so it was fun to really just gain a little more knowledge on the storied history of this great franchise. Hopefully, those of you who joined me along the way enjoyed it, but if you are just running into this, please feel free to use the links below to get caught up before heading into the last ten on the list.